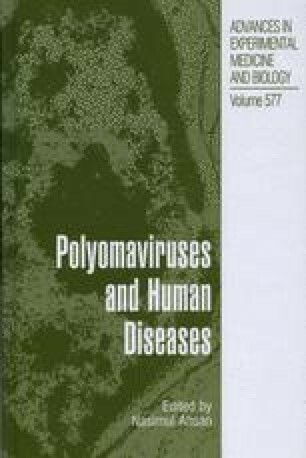 The human neurotropic polyomavirus, JC virus (JCV), is the etiologic agent of progressive multifocal leukoencephalopathy (PML), a fatal demyelinating disease of the central nervous system that occurs mainly in immunosuppressed patients. JCV has also been found to be associated with human tumors of the brain and other organs. In this chapter, we describe JC virus and its role in human diseases.